continued> where he was born. The landscapes are 2-dimensional geometric compositions illustrating the interface of the natural geography with man made features, including the vast grid of roads and property divisions. 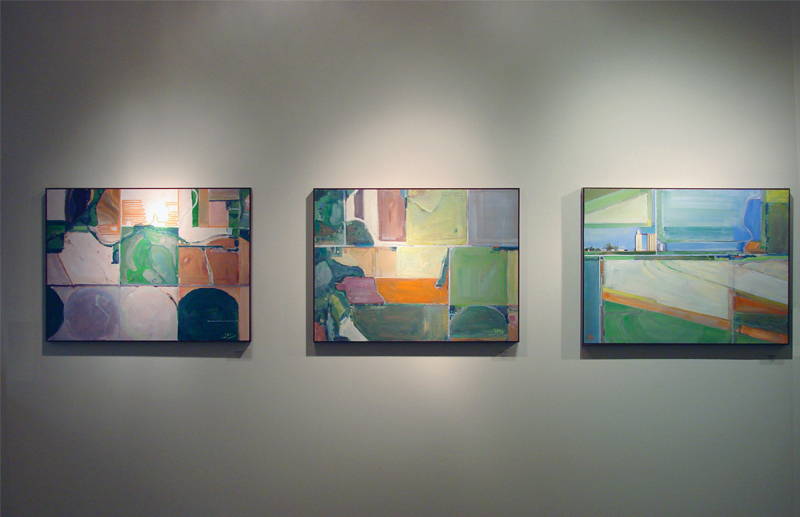 Our work shares a “semi abstract” quality meaning the viewer may not immediately recognize what the images represent. At one point we realized that even though our work is very different, there are common threads that tie our work together; the circular geometry, the subject matter of living things and the viewers perspective in the “up close” of the flowers and from “far above” in the crops of the Midwest. We believed the combination would make an interesting exhibit. Joe approached Sue Kneppelt, Director of Gateway Gallery and Marketing and she agreed and planned a wonderful opening reception in March of 2014. 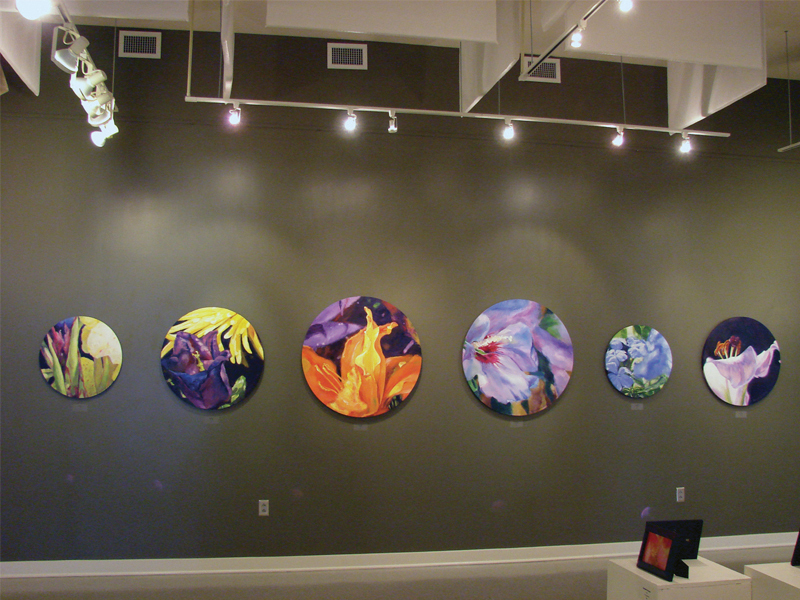 Several works similarly themed from the Enrichment Center’s Artists of the Gateway Studios were also exhibited.